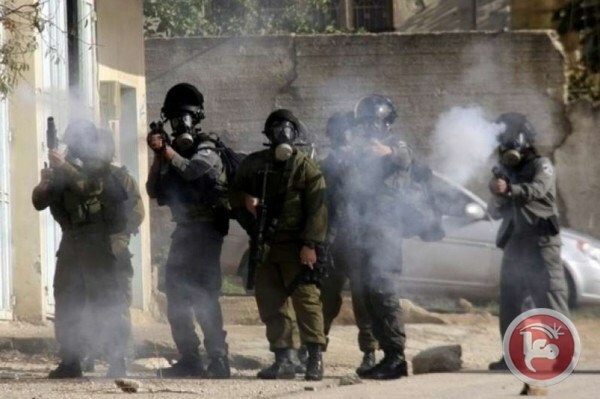 HEBRON (Ma’an) — Israeli forces attacked young Palestinian students in the southern occupied West Bank city of Hebron, on Sunday, by firing tear-gas bombs and sound grenades towards them. Meanwhile, Israeli police forces had evacuated students and staff from the Ibrahimi Elementary School, also in Hebron City, shortly after a suspicious set of objects was found at the entrance of the school. Israeli police forces sealed off the area and safely removed the suspicious objects, however, did not identify their origin. Locals believe that the suspicious objects might have been placed at the entrance of the school by Israeli settlers. NABLUS (Ma’an) — Dozens of Palestinian students suffered from severe tear-gas inhalation, on Sunday, after Israeli forces raided a high school in Urif village, south of the northern occupied West Bank district of Nablus.According to local sources, Israeli forces raided the high school and heavily fired tear-gas bombs towards the students, leading to dozens of students suffering from tear-gas inhalation.Sources confirmed that first aid was provided to the students immediately, however, several of them were transferred to a local medical center for treatment. Sources added that the attack disrupted classes, as well as caused panic among the students. The Urif high school has been a target of a number of attacks carried out by both Israeli forces and settlers, forcing the staff to shut down the school eight times in the previous semester and six times in the current semester.